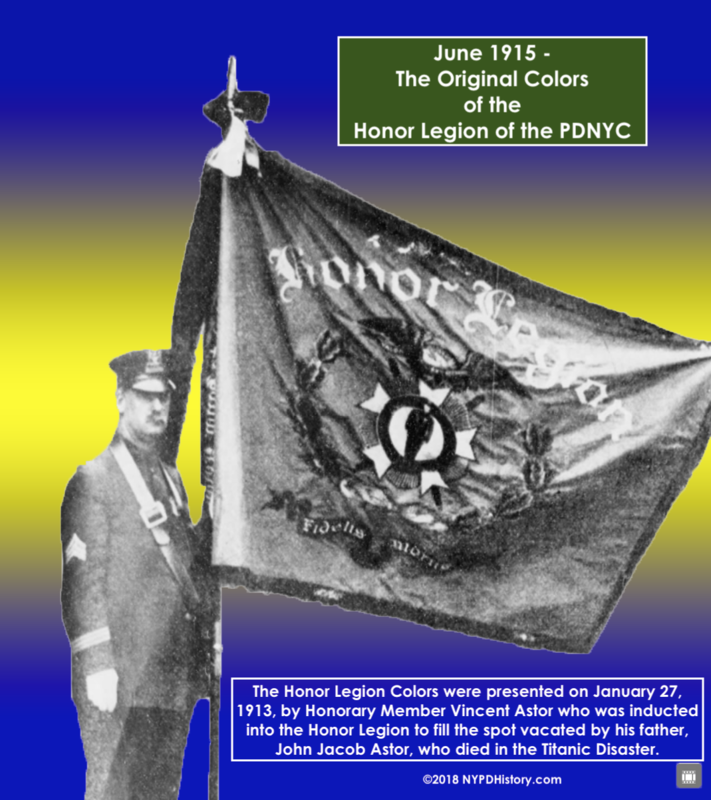 The Honor Legion was conceived and formed in January 1912 by Patrolman John W. Frazer who approached Chief Inspector (todays rank of Chief of Department) Maximillian F. Schmittberger with the idea. Chief Schmittberger approached Police Commissioner (PC) Rhinelander Waldo (1911-1913) who wholeheartedly endorsed and supported the proposal. The first meeting was held in the Trial Room of Police Headquarters at 100 Centre Street. 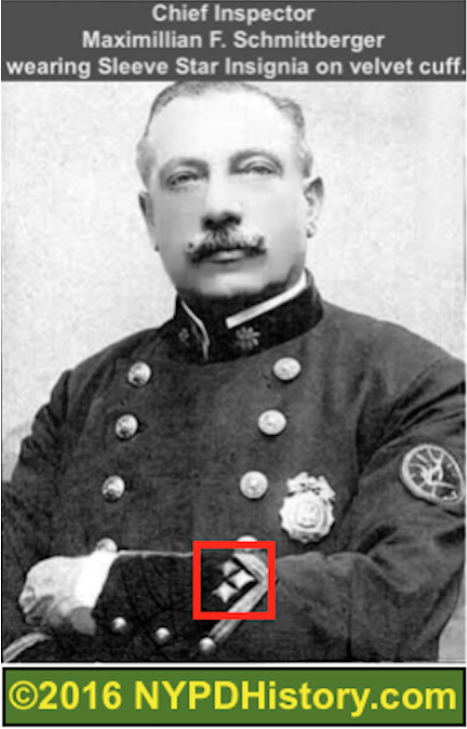 “Honor Men” could be identified by the presence of at least one four-pointed “star’ on the cuff of their uniform sleeve which represented a level of recognition, or award. 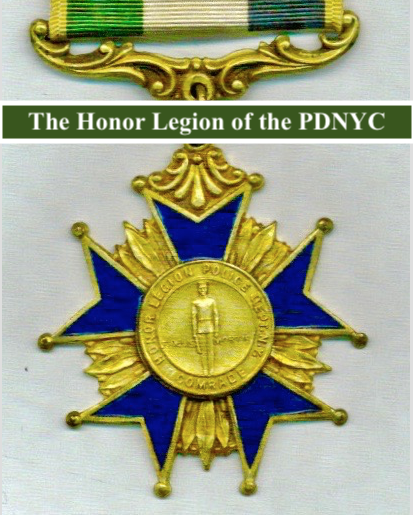 These “Representative Sleeve Stars” were adopted on April 22, 1906 pursuant to General Order 40, signed by PC General Theodore Bingham (1906-1909), a Veteran of the Great War (World War I). The color of the four-pointed star signified the level of the award and deed, and were either gold, silver or bronze in color. 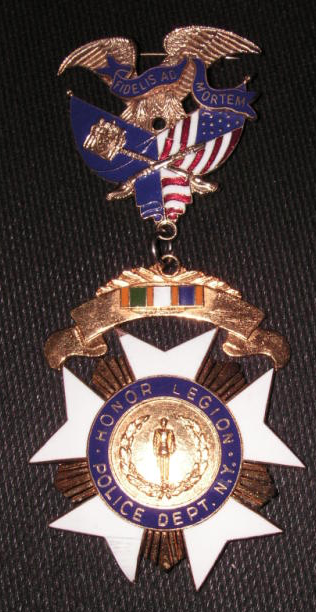 In December 1912, 400 of the 11,000 men in the department were members of the Honor Legion. 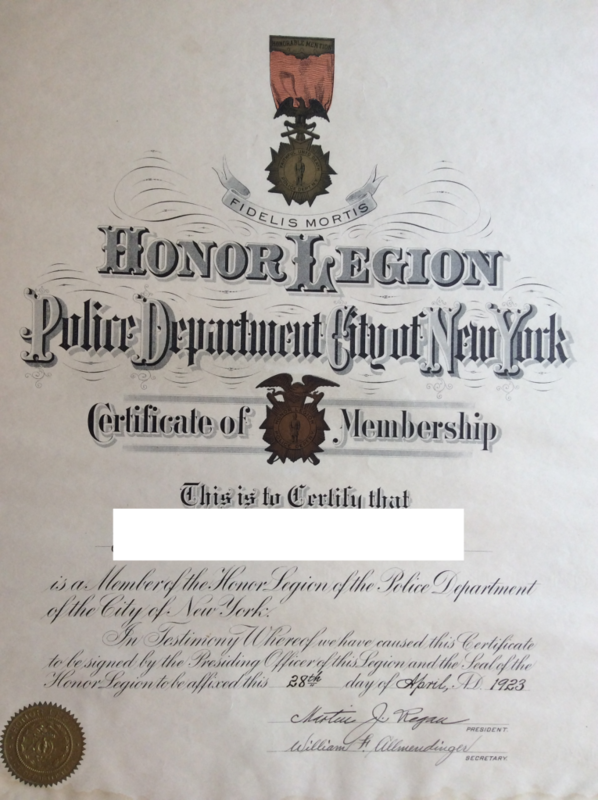 Elaborate, large membership certificates (or diplomas), created in the style of those of the French Legion of Honor, were presented to members along with an emblem. The emblem was a medal-like adornment that may be pinned to their uniforms. (See image below.). “Of course, a plentiful sprinkling of scars, bullet marks and other evidence of flirtation with death go with the emblem and diploma, but that’s all in a days duty,” said Honor Legion member, Sergeant (Sgt.) Daniel J.Fogarty. 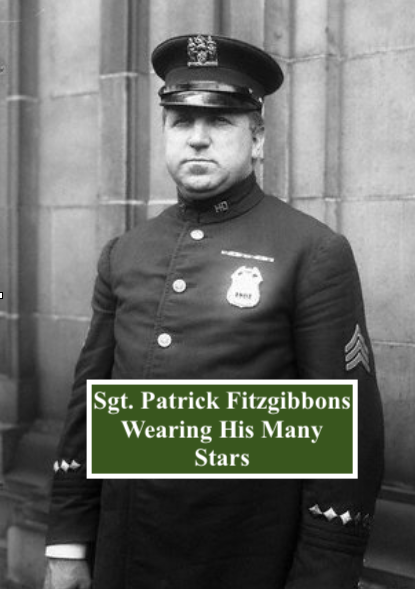 One of the most decorated officers in the history of the department, and a member of the Honor Legion, was Patrick Fitzgibbons, below. 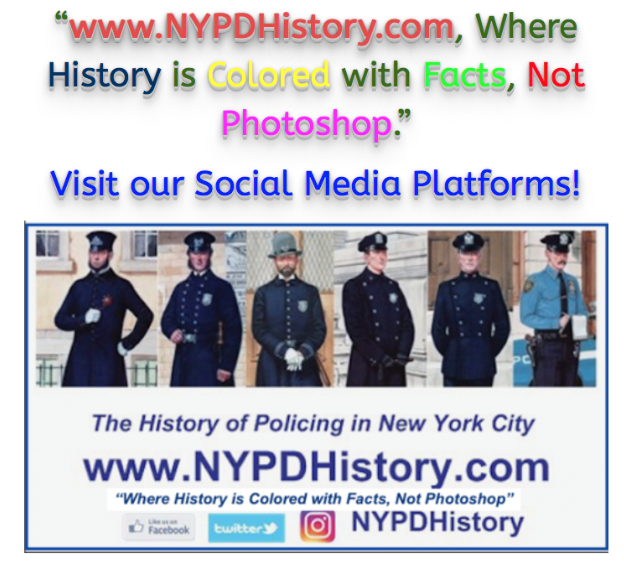 In January 1914, the “Honor Legion of the Police Department of the City of New York” was incorporated with the Secretary of State of New York. Its headquarters was located in the Borough of Queens. 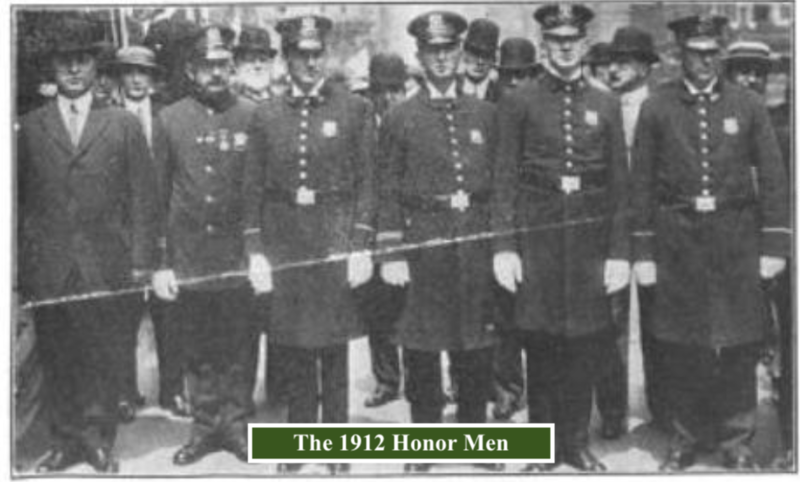 While serving as Chief Inspector, Schmittberger, Patrolmen John W. Frazer, and George Griffin, became the first Board of Directors of the Honor Legion. 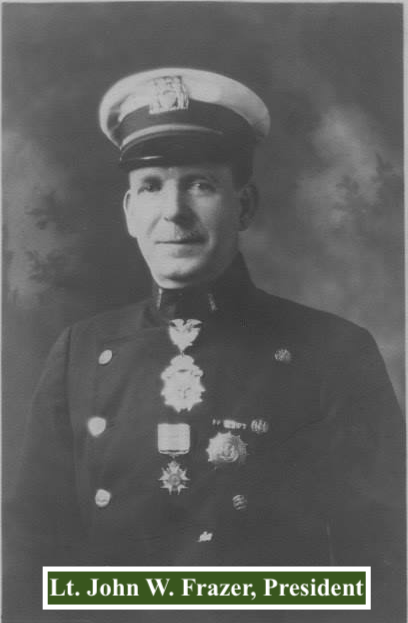 Chief Schmittberger served as the Chairman of the Board. John Jacob Astor was an Honorary Member and a “faithful supporter,” according to Chief Schmittberger. Astor, a friend of the Chief, perished on the Titanic. His son, William Vincent Astor, was voted by the membership of the Honor Legion to take his place. Above: Emblems Similar to that Worn Around the Neck of President Frazer (above). The first of many annual banquets was held on January 27, 1913. 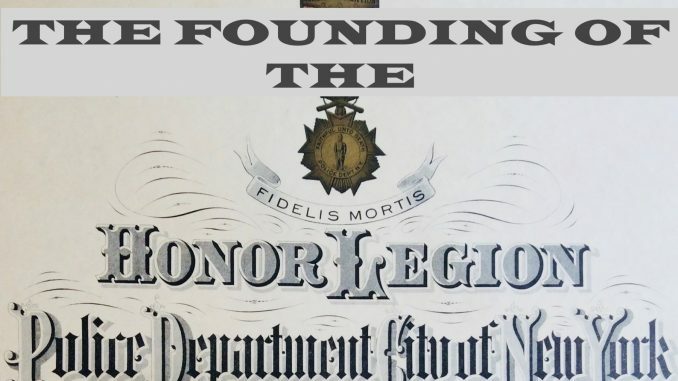 “What’s the deal with the founding of the Honor Legion? 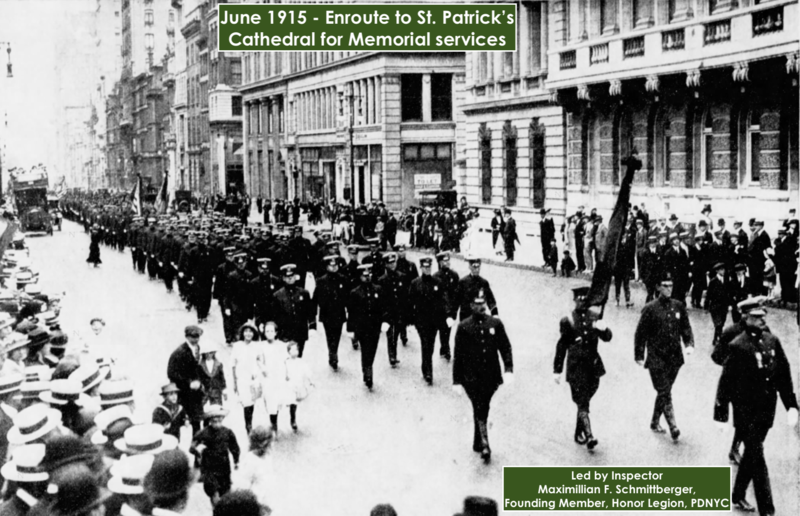 This fraternal organization was founded in 1912 by Patrolman John W. Frazer who later served as its President. 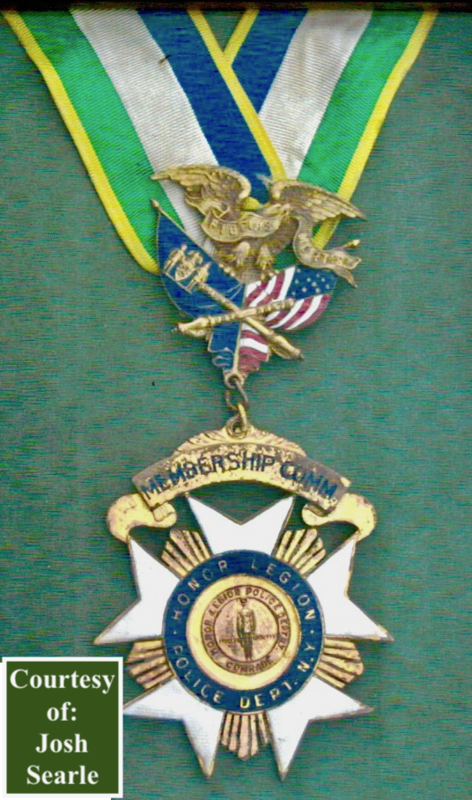 After its incorporation in January 1914, membership grew, including honorary memberships which were typically conferred upon wealthy or influential members of the public. Today, the Honor Legion remains active, and recently established an online presence with a website, & on facebook, Instagram and Twitter. Historical Artifact! c. 1855 Frontispiece – The City of Brooklyn PD’s First Chief of Police!